Zesty jalapeño and super-greens like kale and cucumber, blended with tangy pineapple — a sweet and spicy metabolism boost! 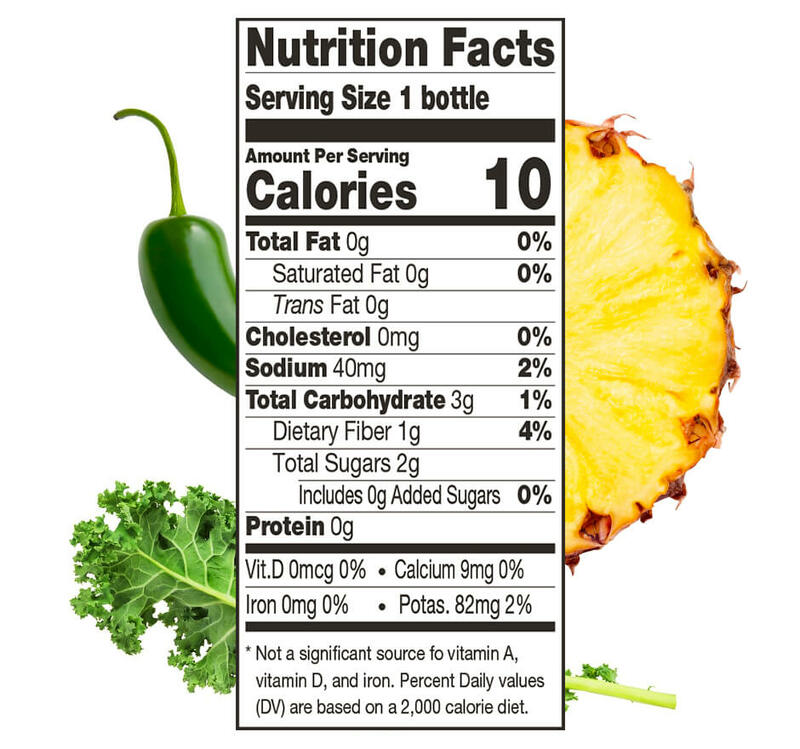 Capsaicin, which gives jalapeños their heat, is a proven metabolism booster. Combined with hydrating cucumber and Vitamin K-packed kale, it kicks your body into gear and supports a super healthy fat burn.